Heart Lines presents Australian Instagram sensation Gemma Troy’s poetry, one gorgeous verse at a time. Ever since she was a child out fossicking for gold with her dad and camping in magical fern gullies, Gemma has collected keepsakes from the outdoors. Pebbles, nests, shells, seed pods, plants, bones, feathers – if it’s beautiful, portable and can be spared by the earth, Gemma takes it home it as a reminder of nature’s beauty. 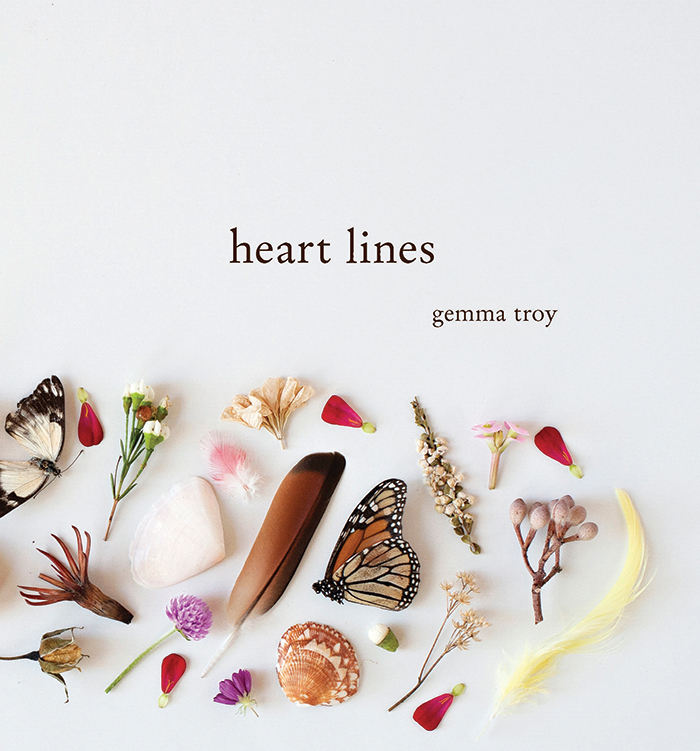 In her first book, Heart Lines, Gemma reflects on themes of love and pain, femininity and joy, and matches each delicate poem on the page with one of her treasures.